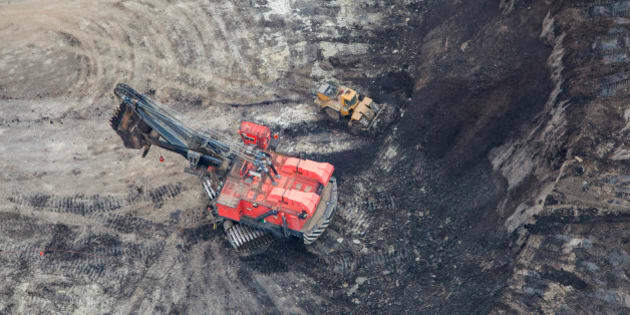 A large power shovel excavates heavy oil loaded sand from a Alberta Oilsands open pit mine near Fort McMurray. A Conservative Fort McMurray MP who resigned from his position this month is wasting no time in denouncing the speed of oilsands development in the region. In an interview with The Globe and Mail, Brian Jean says new oilsands development should be slowed down to make room for infrastructure shortages in Fort McMurray, including highways and additional hospitals and seniors' services. "You’ve got two-hour waits in the morning to go 30 kilometres. Build a new highway. How about a bigger hospital? I feel sometimes like we’re racing to the end. [The oil] is not going anywhere. The oilsands is there. Let’s manage it properly," he said. Jean's political career has involved working on economic issues, community funding and pipeline and energy infrastructure and he said on Friday that he's "spent the past 10 years fighting for the priorities of northern Albertans in Ottawa." To illustrate his concern with oilsands development he refers to the government's 2006 promise to twin Highway 63, the notorious route that connects Fort McMurray to Edmonton, and still in progress eight years later. He also touches on the federal government's long-promised emissions regulations for the oil and gas industry that could cap carbon output, but have yet to be released. The sentiment is echoed in Max Fawcett's report for the Alberta Venture that states the current royalty system for oilsands development places "increased production ahead of increased productivity," and is having a damaging effect on the industry. “You’re basically pushing too much activity into a relatively short period of time, and so you have companies competing with one another to attract what are fundamentally the same types of labour,” Dr. André Plourde, who teaches at Carleton University, told Alberta Venture. Oilsands development has caused heated debate in Alberta and is a hot-button issue for many Canadians. More than 20 notable Canadians wrote a letter to support anti-oilsands musician Neil Young on Monday. The letter called on the Harper government to honour treaties with First Nations to protect the environment, and called for action against oilsands development in the region that could potentially put that environment in jeopardy. "The world is watching as we decide who we will become," the letter said. "Will we continue to allow oil companies to persuade our government to gut laws, silence scientists, and disassemble civil society in order to allow reckless expansion of the oil sands?"